It's that time again! Time to get friends together, old and new, to give back to the crag that gives us so much the year round! As usual we will be bringing in all the tools, swag, beta, and food to keep you and our beloved crag stoked all season long! Come get dirty, get pumped, and get fed! This year we will be fighting the usual battle to stabilize the hill-side trails and belay platforms, as well as, building/reinforcing trail systems on the back side of the park. We will also have a small group of experts replacing "time-bomb" bolts and anchors with 1/2" stainless steel thanks to our friends at the ASCA. Bring your rope and appetite because the afternoon is when the day really starts to heat up with four-star vertical action and feasting a-plenty! Passages Northwest 12th Annual Courage Benefit. For 12 years, Passages Northwest has provided wilderness adventures for girls, including rock climbing, backpacking, and sea kayaking, to help girls test their courage and leadership. We serve diverse groups of girls from the Seattle area, with a specific focus on providing access to the natural world to people who have been historically under-represented in outdoor pursuits. We have never turned away a participant for lack of funds. The SR 20 North Cascades Highway reopens to traffic at 8 p.m. on Friday, April 24, a full week earlier than anticipated. 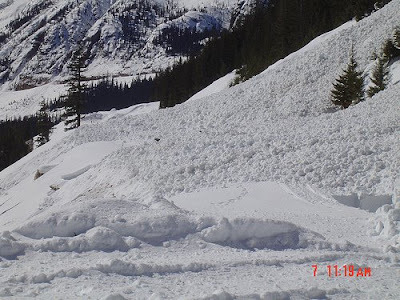 Washington State Department of Transportation maintenance crews began work four weeks ago clearing avalanche chutes and snow from the mountain highway that closed to traffic for the winter on Dec. 11. 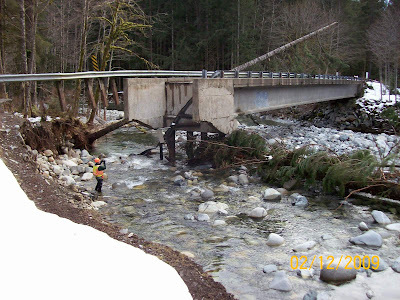 “The crews are really pleased that the reopening effort took two weeks less than it did last year and that the highway will be open for the opening weekend of fishing season,” said Don Becker, WSDOT Twisp Maintenance Supervisor. The 8 p.m. reopening gives the crews the time they need to "sweep" the entire highway for sand, rocks and debris from Silver Star to Diablo, and clean up any more snow sloughed from avalanche chutes. "It provides the safety margin we need so the first drivers over the passes make their trip successfully," said Becker. East and west side crews met at Washington Pass Wednesday. Today, crews are widening and cutting safety pull out areas. “We expected the clearing to take about five weeks if weather and equipment cooperated. We had some setbacks from both, but the key to faster-than-expected reopening was having the two west side snow blowers this week. Coupled with the melt from Monday and Tuesday’s warm temperatures, both crews moved more snow than we ever imagined in a single day,” said Becker. When the gates swing open tomorrow, drivers should find the road conditions bare and dry or bare and wet across the entire route. The weather forecast calls for temperatures in the mid 40s, clouds and a freezing level around 4,500 feet. There is a possibility of some rain forecast Saturday through Monday. While the final clearing work is underway, an unusual activity is taking place in Spiral Gulch, east of Washington Pass. Beginning early Friday morning, a Discovery Channel crew is filming a re-creation a truck accident that originally took place on the Alcan Highway for an upcoming episode of “Ice Road Truckers”. Although the lava dome at the summit of Redoubt has slowed, experts expect activity to continue for weeks maybe even months to come. As climbers, there are a few effects from the eruption to be keeping in mind while climbing in the Alaska Range. 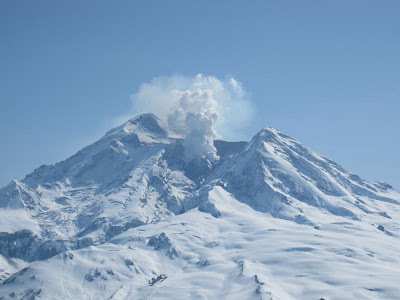 Throughout the eruption a decent amount of ash has deposited in the surrounding peaks, including Denali. 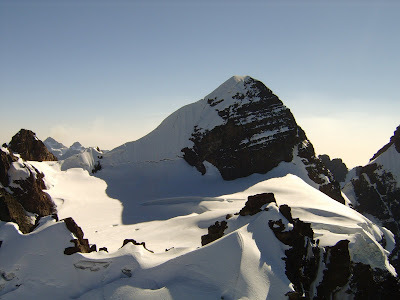 This will affect climbers, as they will be forced to dig deeper into the snow pack in order to find clean drinking water. Avalanche danger will also be increased due to the dark coloration of the ash. The ash will absorb more sunlight than usual causing the snow to be much heavier and prone to slides. On the bright side, the ash has become a source of income as one local Alaskan entrepreneur attempts to sell bags of ash for $250.00 per pound on e-bay. Again, we haven’t received any indication of an impact on the AAI Alaska season and we are looking forward to climbing in the Alaska Range as usual. Mild spring weather has facilitated the efforts of the National Park Service road crew and other park employees to open the road and park facilities to park visitors. The portion of the Denali Park Road between the Savage River (Mile 15) and the Teklanika River Rest Area at Mile 30 will open for travel by private vehicles at 8:00 a.m. on Friday, April 24, weather permitting. Visitors are encouraged to call ahead for updated road and weather conditions before driving to the park. Motorists should expect to encounter snow, ice, and mud on some portions of the road, particularly shaded areas. Please be alert for heavy equipment being used in road opening operations and park personnel working on the edges of the road. There are vault toilets at the Savage River parking areas and chemical toilets at the Teklanika River Rest Area for visitor use. Other facilities west of the park headquarters, including campgrounds, are scheduled to open mid-May. The road will be open to Mile 30 through Tuesday, May 19. Beginning on Wednesday, May 20 the shuttle bus system will provide access beyond the Savage River to as far west as the Toklat River (Mile 53). The first fifteen miles of the park road will continue to be open for travel by park visitors in private vehicles throughout the summer season. Snow conditions for skiing and mushing have deteriorated, but there is still good snow on north-facing slopes. Visitors have reported numerous wildlife sightings, including lynx, wolves, caribou, moose, Dall sheep, ptarmigan, golden eagles, and snowshoe hare. Visitor information and backcountry permits are available at the Murie Science and Learning Center (Mile 1.3) from 9:00 a.m. to 4:00 p.m. daily. The Riley Creek Campground is open for free camping until May 15, but water and sewer services are currently not available. A vault toilet is provided for campers in the open loop, and water can be obtained at the Murie Science and Learning Center. Denali National Park and Preserve collects an entrance fee year-round. The entrance fee of $10 per person or $20 per vehicle is good for seven days. The majority of the money collected remains in the park to be used for projects to improve visitor services and facilities. Interagency Federal Recreation Passes such as the Annual, Senior, and Access Pass, and the Denali Annual Pass are also valid for entry into the park. Visitors can pay entrance fees and purchase passes at the Murie Science and Learning Center. Additional information can be obtained by calling the park at (907) 683-2294 from 8:00 a.m. to 4:30 p.m. daily or on the web at www.nps.gov/dena. The AAC and Yama Studio Present: Rocky Mountain Highball. "Rocky Mountain Highball" is a new climbing film that presents an in depth look into why some climbers push themselves to boulder at the vertical limit. The film documents the many facets of bouldering by interweaving numerous classic climbs in Colorado with interview footage from the leading figures of the climbing world. Director,/Filmmaker Scott Neel, and Yama Studio have brought in a huge cast of world renowned climbers, like Paul Robinson, Kevin Jorgeson, Lynn Hill, Daniel Woods, and Jason Kehl. Having filmed more than 70 climbs with more than 35 athletes, this film proves to be an exciting journey through the world of highball bouldering. This week I decided to focus the videos on one of our great local climbing areas, Index. 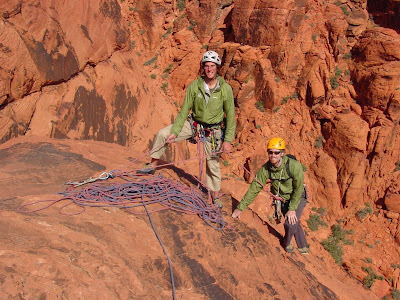 This places features fantastic granite and steep routes that are sure to get your arms pumped! There have been some recent rumors about the owner of the land selling it off to be quarried. Once you check out these videos you'll see why this would be an incredible loss to Washington climbers. Check out this link for the current status of this development. Enjoy the videos and I hope you all get out this weekend to play! The first video features a climber cruising Thin Fingers (5.11a), an ultra classic route on the Lower Town Wall. The second video features Roger's Corner (5.9), yet another great route in the Lower Town Wall area. 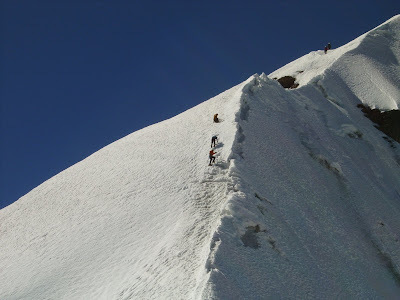 AAI is a national sponsor of the program "Climb Up the 50," a fund raising event May 23-31 in which hikers and climbers will be scaling the highest peak in each of the fifty states. The funds that are raised will cover the cost of desperately needed AIDS-related medications, supplies, and food for children infected with the disease in the hardest-hit countries, including Kenya, Uganda, and Zimbabwe. The lead organization is the American Foundation for Children with AIDS (AFCA). Many climbers are inspired to join the effort because even modest amounts of fund raising can do so much. 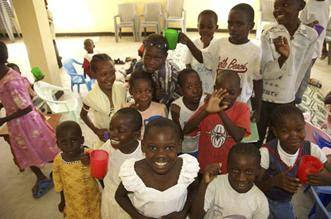 Thanks to the participation of generous donors, each dollar allows AFCA to distribute and deliver great quantities of life-saving medicine to HIV positive children, and thanks to the efficiencies of AFCA, none of the money raised is spent on overhead and administrative costs: 100% of it goes to benefit the children. Think about being a part of this effort! Register here. To raise funding and awareness for children living with AIDS in Africa, the tallest mountain peak in every state in America will be scaled this spring. The American Foundation for Children with AIDS (AFCA), in partnership with the American Alpine Institute, is sponsoring "Climb Up the 50." Funding from this dramatic, synchronized climb-a-thon will pay for the uphill battle to support children with AIDS. Funding will cover AIDS-related medication, supplies, and food for children infected with the disease in the hardest-hit countries, including Kenya, Uganda, and Zimbabwe. The program includes Climb Up the 50, Climb Up the World, and Climb Up Kilimanjaro. Climb Up the 50 is based in the U.S, with participants climbing or hiking up the highest point in their state sometime during May 23-31. 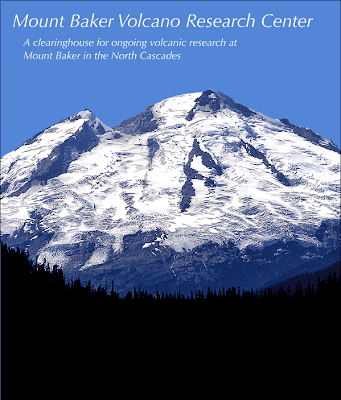 Teams of people will join to climb the highest peak in their state. 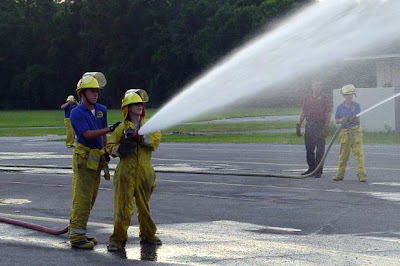 Florida has the lowest peak, with an elevation of only 345 feet above sea level. The highest peak in the country is found in Alaska -- Denali (Mount McKinley) -- at over 20,000 feet above sea level. A team's goal is to raise $5,000 for the organization while individuals raise either $90, $180, or $360. Climb Up the World participants can engage in the event by running, climbing, hiking or cycling -- where ever in the world they are -- on September 19 or 20. Each person who registers to take part in the event can either raise $90, $180, or $360. Each amount is the equivalent of 3 months, 6 months, or one full-year of life-saving medication for a child. The $25 registration fee covers all administrative costs so all raised donations will be used for AFCA-related programs. Teams raise $5,000. The Climb Up Kilimanjaro is the most daring event. The team consists of 12 brave people who will climb up Mount Kilimanjaro -- at 19,330 feet, the highest peak in Africa. The Kilimanjaro team wishes to raise $10,000 per person to cover costs of climbing and the money needed for the AFCA's initiatives. This 10-day climb will take place Sept. 11-24. The mountain climbing apparel manufacturer Merell has agreed to donate the footwear needed to the 12 members of the Kilimanjaro team. Tanya Weaver, executive director of the AFCA says, "AFCA has received tremendous support from the climbing community around the world. We think the challenge of climbing to the summit of Mount Kilimanjaro is an appropriate symbol for the uphill battle HIV/AIDS children face." This viral event is not just limited to climbing. The AFCA invites anyone and everyone to climb, hike, bike, or run for whatever distance to raise money for the children. Corporations are encouraged to either sponsor, match donations, or organize a team of their own. Non-participants of the fundraiser can go the AFCA's website for the program and sponsor one of the climbers for the Climb Up Kilimanjaro part of the program. The AFCA's aid in HIV/AIDS stricken countries does not go unnoticed. Children who have received care from hospitals funded by the organization have sent letters of appreciation, which can be viewed on their website. The organization I founded ten years ago, Orphans International Worldwide, has a community center at the base of Mount Kilimanjaro at OI Tanzania, serving AIDS orphans and other children. Hopefully the Kilimanjaro team will stop by and visit the children currently staying there before they embark on their ten-day journey up the highest peak in Africa. The American Foundation for Children with AIDS looks to provide children suffering from HIV/AIDS with effective treatment and life-saving medication. The AFCA provides education, medical and social support as well as humanitarian relief. More information can be found on their site, HelpChildrenWithAIDS.org. The American Alpine Institute is dedicated to helping climbers hone their skills and learn to protect the environment in which they climb. They are currently working on sponsoring the AFCA's Climb Up So Kids Can Grow up programs. More can be found on their website, AAI.cc. With Nancy Minyanou. Edited by Rebecca Nutley. We, Jim Luce, Nancy Minyanou and Rebecca Nutley, contribute the above article to the public domain. Due to longer days, and warming temperatures, Denali National Park and Preserve Superintendent Paul Anderson has determined that there is no longer adequate snow cover for the use of snowmobiles for traditional activities in the 1980 additions to Denali National Park and Preserve that are north of the Alaska Range. Those park lands that were open for snowmobile use are now closed for the season. Snow cover in the area is broken up with large areas of exposed vegetation, and the remaining areas of snow are less than 6 inches deep. “At this time the snow depth and structure of the snowpack are no longer adequate to protect vegetation and soils from damage by snowmachine use” stated Anderson. The snow cover south of the Alaska Range is still adequate for the use of snowmobiles for traditional activities in the 1980 additions to Denali National Park and Preserve, but riders should anticipate a closure in this area soon. River corridors have open water and the snowpack is diminishing quickly. Riders are reminded that all lands within the former Mount McKinley National Park on both the north and the south sides of the Alaska Range are closed to all snowmobile use by federal regulation. Snowmobile users wishing to access lands adjacent to this area should become familiar with the location of park boundaries prior to their trip. The Denali Park Road is currently open for travel by private vehicles to the Savage River at Mile 15. The Murie Science and Learning Center at Mile 1.3 on the park road is open daily from 9:00 a.m. – 4:00 p.m. for visitor information and backcountry permits. The Riley Creek Campground at Mile 0.2 is open for free camping until May 15, but water and sewer services are not yet available. A vault toilet is provided for campers in the loop that is kept open year-round, and water can be obtained at the Murie Science and Learning Center. Visitors can obtain information by calling park headquarters at (907) 683-2294 from 8:00 a.m.-4:30 p.m. daily. Trip planning information is also available on the park website at www.nps.gov/dena. 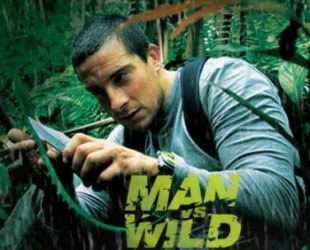 A month or so ago I was raked over the coals by a few people who felt that I'd been unfair in my review of the Discovery Channel television show, Man vs. Wild. There were some very poignant comments about the tone of my blog. I have a background in writing film criticism for alternative weeklies where if you aren't sarcastic, your work won't be published. And sometimes I do lean toward that tone here. I don't think you guys want to read a bland blog. Indeed, that particular post got people fired-up and we had a bit of a debate about the merits of the television show. I really enjoyed reading the comments that a few of you put up about the show, both those that agreed with me as well as those who disagreed. Even a documentary style television show is an artistic endeavor. And I would argue that such endeavors provide the most insight when they are debated in an open forum. This is particularly valuable when we look at films, books and television shows that delve into our shared passion for outdoor adventure and mountain climbing. Such debates provide an opening for a dialogue about specific techniques and ideas. It turns out that we're not the only place where this show has been debated. Check this out and this. And was it worth doing? When I post criticism here, it is for a very specific audience. All of you are outdoors people, adventurers, or climbers. Indeed, most of you are some combination of each of these things. When I answer Goethe's questions, my goal is to filter them through the lens of the audience that comes here to read what we post. My goal is to provide criticism through both my experience as a guide and as a critic. Ideally, this helps you decide what films, books and television shows you may want to spend your time on. This weekend I decided to pay tribute to that famous, iconic European peak...The Eiger. Climbing and mountaineering has its roots in the Alps and those wild Europeans are constantly looking for new ways to experience the mountains. 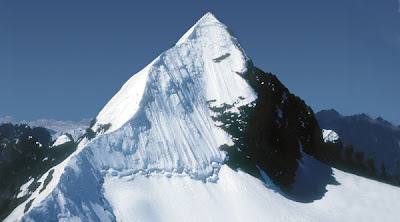 No longer satisfied with just climbing the Eiger these thrill-seekers and hard-core adventurers run up, ski/parachute down, or simply fly around this incredible peak. The final video features yet another extreme sport that is on my list to learn, wing-suit skydiving. This video has some very intimate footage of the Eiger as these athletes fly down the mountain. Washington State Department of Transportation (WSDOT) maintenance crewmembers on both the east and west sides of the North Cascades mountain passes are in the process of clearing snow from 37 miles of the highway, including Rainy and Washington passes. Work started on Monday, March 30. State Route 20, the North Cascades Highway, is the northernmost route across the Cascades in Washington. This scenic byway is part of the Cascade Loop, a 400-mile driving tour through the Cascades. 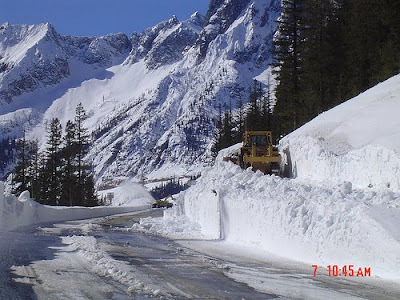 WSDOT closes the North Cascades Highway in the winter when snow and avalanche danger threatens the safety of drivers and maintenance crews. On average, the highway is closed between late November and early December and reopens in the spring between late March and early May. 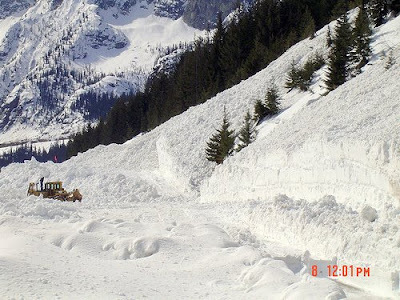 Clearing the North Cascades Highway is a significant effort each year. WSDOT crews will work 10-hour days, Monday through Thursday, through April. While it’s impossible to predict exactly when they will have it open – due to weather (the Cascades have gotten 32 more inches of snow in the last 21 days), avalanche danger, equipment breakdowns, and crew health – they are hoping they can match last year. The highway reopened May 1 last spring and was closed for the season on Dec. 11. The cost to reopen the highway each spring typically runs from $200,000 to $250,000. WSDOT requires that climbers and skiers engage in frequent and varied spring skiing and climbing trips to make this a good investment :) . A natural avalanche covering the roadway at mile post 165. The same place . . . several hours of work later.
. . . Looking good! On Tuesday morning, this is the Lloyd Logging D-8 caterpillar cutting a pocket above the shoulder, below an avalanche chute along Cutthroat Ridge, so if any more snow slides, it won't end up on the roadway. While clearing snow off SR 20, the crews see a lot of different wildlife. This time it was a rabbit. 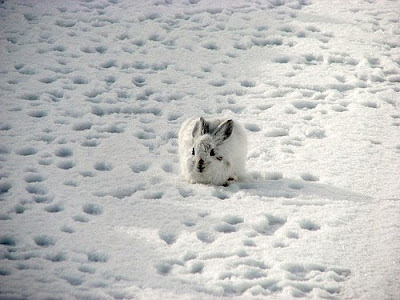 They said it's actually not uncommon for them to see rabbits along the snow-covered highway. They said that this particular rabbit was charging the snowblowers, and was following them as they worked. Little (pre-powdered) snow donuts rolled their way down the hill and landed near our maintenance crews clearing snow from the highway. Check out more photos on WSDOT's Flickr site! 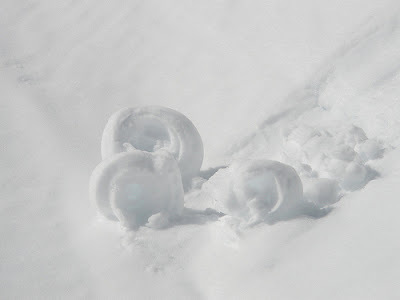 There are more new photos from Monday's work on the flickr site and there's a special treat - SNOW DOUGHNUTS! By Tuesay, on the west side, they got to MP 154 (Swamp Creek) which is about 3-1/2 miles below Rainy Pass. The east side crew is busy cutting through the slides from the 11 avalanche chutes in the Cutthroat Ridge zone (MP 168-166, near Silver Star Mountain). On Monday, Avalanche forecaster Mike Stanford showed up with the Avalanche crew's snow cat. While he kept an eye on the snow conditions, crews used it and an excavator to cut down the snow piled up below CR1. The Kodiak snow blower can take about an 8 foot “bite” and some of the snow slides through the Cutthroat Ridge zone are twice that deep. A second Kodiak snow blower from Stevens joined the effort on Tuesday. By the end of Tuesday, they had cleared CR1 and CR2. Today, the giant rental D-6 and D-8 caterpillars are traveling ahead up to the Liberty Bell Avalanche zone and to start cutting those huge snow piles down to size. We want that section ready for the snow blowers when they get that far, sometime next week. Last week’s snow that hit the central Cascades hard didn’t dump as much in the northern Cascades and the weather today actually started out sunny, while it’s gone from two days of sunshine to overcast and foggy down on Stevens and Snoqualmie. Obviously putting the snow shoe rabbit in charge and spotting some lucky snow doughnuts are good signs! Belayer: (After checking that everyone's double-backed, that knots are correct and that the belay device is threaded appropriately.) Belay on. Belayer: (After pulling the stretch out of the rope and locking it off.) Tension on. You'll notice that the words "thank-you" are used heavily throughout this command series. We use to words to acknowledge that an individual heard the last command. For those who don't normally use the words "thank-you" as part of your personal series, I would recommend trying it. A lot of stress melts away on multi-pitch climbs when you know that your partner heard you. 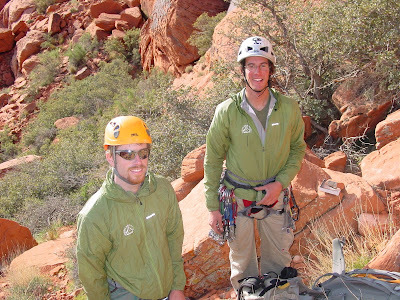 Belayer: Thank-you! (The belayer will then take the rope out of his device. )Belay off! Climber: Thank-you! (The climber will then put the belayer on belay.) Belay on! Up rope -- When a climber says this, he is asking that slack be eliminated from the system.